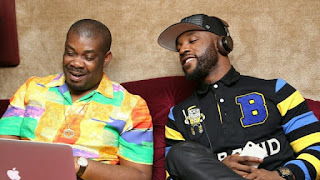 Exactly a year after joining Don Jazzy‘s Mavin Records from Made Men Music Group, singer Iyanya has revealed that he is no longer part of Jazzy’s set-up at Mavin. Speaking on a Wednesday morning interview with Beat FM, Iyanya explained that there was no beef and he just felt it was time to move on. He further disclosed that he has joined the newly formed Temple Music which houses Bisola, Jeff Akoh, 9ice, DJ Jimmy Jatt and others.